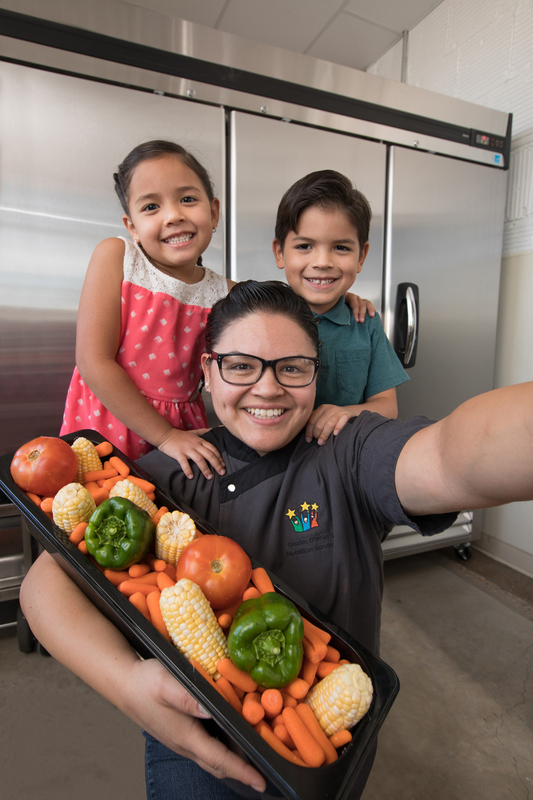 Weld County already has commercial-scale operations producing onions, potatoes, carrots, and pinto beans, she explains, as well as smaller farmers growing things like tomatoes, cucumbers, squash, and peppers year-round. And it isn’t just fresh fruits and vegetables; it’s also local beef, chicken, and pork. In fact, 98 percent of the dairy products the district serves come from local farms. How local is local? And what does “from scratch” mean, exactly? School District 6 makes a bean and cheese burrito that starts, amazingly, with pinto beans grown on a family farm just north of Greeley. They’re rolled in tortillas baked fresh at Greeley’s own Los Comales. Then green chilies from Tigges Farm, about 10 miles as the crow flies from the kitchens at Nutrition Services, are fire-roasted and turned into a sauce. Greeley-Evans School District 6 turns Weld County’s ag bounty into 14,000 healthy meals every day.